Sara is enjoying medical school in sunny Townsville but is looking forward to finishing. She has a special interest in Indigenous health and wants to work in a rural area in Australia. She also enjoys studying theology and would love to go to theological college in the not too distant future. Should we bring back the white coat? Is it time for this once-venerated symbol of medicine to re-establish itself amongst a new generation of fledgling practitioners? Or, is this icon of medical apparel nothing more than a potentially dangerous relic of a bygone era? The white coat has long been a symbol of the medical profession, dating back to the late-1800s. It was adopted as medical thought became more scientific. Doctors wore coats aligning themselves with the scientists of the day, who commonly wore beige coats, but instead chose white – the colour lacking both hue and shade – as representation of purity and cleanliness. Nowadays, the white coat is rarely seen in hospitals, possibly due to suspicions that it may function as a vector for transmission of nosocomial infections. This article addresses the validity of such concerns, by reviewing the available literature. Twenty years ago in the United Kingdom (UK) white coats were commonly worn by junior doctors while consultants wore suits. The choice to not wear a white coat was seen as a display of autonomous, high-ranking professionalism. 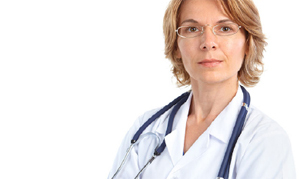 Many older Australian nurses now recall when doctors commonly wore white coats in the hospital. Over the last decade, white coats have become a rarity in Australian hospitals. [7,8] There are many reasons why this change occurred. Table 1 outlines some common thoughts of doctors on the matter. Paediatricians and psychiatrists stopped using white coats as they thought that it created communication barriers in the doctor-patient relationship. Society viewed white coats as a status symbol,  evoking an omnipotent disposition, which was deemed inappropriate. [6,7] In addition, it was thought white coats might be a vector for nosocomial infection. [6,9-13] With these pertinent issues, and no official policy requiring white coats, doctors gradually hung them up. In 2007 the British Department of Health published guidelines for healthcare worker uniforms, that banned the white coat from hospitals in England,  thereby producing a passionate controversy. The primary reason for the ban was to decrease health-care acquired infections, [9,12,16] which was supposedly supported by one of two Thames Valley University literature reviews. [6,13] Interestingly, these reviews stated there was no evidence to support the notion that clothing or specific uniforms, could be a noteworthy medium for the spread of infections. [6,13] On closer inspection of the British policy, however, they state: “it seems unlikely that uniforms are a significant source of cross-infection.”  The text goes on to support the new uniform guidelines, including the abolition of the white coat, because “the general public’s perception is that uniforms pose an infection risk when worn inside and outside clinical settings.”  This statement lacks evidence, as many studies show patients prefer their doctors to wear white coats [7,14,17] and the notion of patients being concerned about infection risk are uncommon. It would appear that the British Department of Health made this decision for some reason other than compulsion by evidence. There are minimal studies done trying to assess whether white coats are potential sources of infection or not. [9-12] Analysis of the limited data paints a uniform picture of the minimal possibility for white coats to spread infection. In response to the British hospital uniform guidelines, a Colorado study, published in April 2011, compared the degree and rate of bacterial contamination of a traditional, infrequently-washed, long-sleeved white coat, to a newly-cleaned, short-sleeved uniform. Their conclusions were unexpected, such that after eight hours of wear, there was no difference in the degree of contamination of the two. Additionally, the study concluded that there was also no difference in the extent of bacterial or MRSA contamination of the cuffs of the physicians. Consequently, the study does not discourage the wearing of long-sleeved white coats  and concludes that there is no evidence for their abolition due to infection control concerns. While, all these studies indicate the potential for organisms that cause nosocomial infections to be present on white coats, [10-12] the common conclusion is there is no higher infection risk from daily-washed, white coats, than any other clinical attire. It needs to be recognised there are many confounding factors in all of these studies that compare attire and nosocomial infection, hence more studies are needed to clearly establish guidelines for evidence-based practice regarding this issue. Gaining an understanding of the difference in transmission rates between specialities could assist in implementing specific infection control practices. Studies that clearly establish transmission of organism from uniform to patient, and clinical data on the frequency of such transmissions, would be beneficial in developing policy. Additionally, nationwide hospital reviews on rates of nosocomial infections, comparing the dress of the doctors and nurses would contribute to gaining a more complete understanding of the role that uniforms play in transmission of disease. Queensland State Infection Control Guidelines published by the Centre for Healthcare Related Infection Surveillance and Prevention (CHRISP), surprisingly had no details of recommended dress of doctors that could be found. State guidelines like these, in combination with federal guidelines, influence the policies that each individual hospital in Australia creates and implements. A small sample of hospitals across all the states and territories of Australia were canvassed to assess what the general attitudes were towards the wearing of white coats during patient contact and whether these beliefs were evidence-based. The infection control officers of each of the hospitals were contacted, by myself and the specifics of their policies attained, along with an inquiry regarding the wearing of white coats by students or staff. This data was collected verbally. Obviously there are limitations to this crude data collection it is the result of attempting to attain data not recorded. Table 2. Relevant policies in place regarding white coats and if white coats are worn within hospitals in major Australian centres. *All the hospitals in the northern metropolitan region of Brisbane are governed by the same policy, likewise for Metro South. This table shows white coats are not extinct in Australian hospitals and the policies in place pertaining to white coats reflect the Federal Guidelines. Policies regarding lanyards, ties and long-sleeves differed between hospitals. It is encouraging to note that Australia has not followed in the footsteps of England, regarding the abolition of white coats, as there is limited scientific evidence to support such a decision. The policies in Australia regarding white coats require daily laundering, although current literature even queries the necessity for this. The negative image of white coats in Australian hospitals by the infection control officers is probably influenced by the literature that shows that white coats become contaminated. The real discussion, however, is the difference in contamination of white coats and other clinical wear. Personally, I think that a white coat would be quite useful. It may even decrease nosocomial infection, as it has big pockets and could carry books and instruments, negating the need for a shoulder bag or putting items down in patient’s rooms, thus becoming a potential cross-infection risk. In regards to the effects on patients, I think the psychological impact may have some effect, but this would be different for each individual. White coats are not the cause of nosocomial infections that are rampant in our hospitals, it is the compliance of health professionals washing their hands and adhering to the evidence-based guidelines provided by infection control organisations. In Australia these guidelines give freedom to wear the white coats, so why not? Thank you to Sonya Stopar for her assistance in editing this article. Van Der Weyden MB. White coats and the medical profession. Med J Aust. 2001;174. Blumhagen DW. The doctor’s white coat:The image of the physician in modern America. Ann Intern Med. 1979;91(1):111-6. Ellis O. The return of the white coat? BMJ Careers [serial on the Internet]. 2010 Sep 1; [cited 2012 October 10]. Available from: http://careers.bmj.com/careers/advice/view-article.html?id=20001364. Kerr C. Ditch that white coat. CMAJ. 2008;178(9):1127. Sundeep S, Allen KD. An audit of the dress code for hospital medical staff. J Hosp Infect. 2006; 64(1):92-3. Loveday HP, Wilson JA, Hoffman PN, Pratt RJ. Public perception and the social and microbiological significance of uniforms in the prevention and control of healthcare-associated infections: An evidence review. British J Infect Control. 2007;8(4):10-21. Harnett PR. Should doctors wear white coats? Med J Aust. 2001;174:343-4. Watson DAR, Chapman KE. 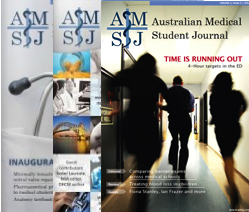 What do Australian junior doctors think of white coats? Med Ed. 2002; 36(12):1209-13. Treakle AM, Thom KA, Furuno JP, Strauss SM, Harris AD, Perencevich EN. Bacterial contamination of health care workers’ white coats. Am J Infect Control. 2009; 37(2):101-5. Wong D, Nye K, Hollis P. Microbial flora on doctors’ white coats. BMJ. 1991; 303(6817):1602-4. Loh W, Ng VV, Holton J. Bacterial flora on the white coats of medical students. J Hosp Infect. 2000; 45(1):65-8. Burden M, Cervantes L, Weed D, Keniston A, Price CS, Albert RK. Newly cleaned physician uniforms and infrequently washed white coats have similar rates of bacterial contamination after an 8-hour workday: A randomized controlled trial. J Hosp Med. 2011;6(4):177-82. Wilson JA, Loveday HP, Hoffman PN, Pratt RJ. Uniform: An evidence review of the microbiological significance of uniforms and uniform policy in the prevention and control of healthcare-associated infections. Report to the department of health (England). J Hosp Infect. 2007;66(4):301-7. Douse J, Derrett-Smith E, Dheda K, Dilworth JP. Should doctors wear white coats? Postgrad Med J. 2004;80(943):284-6. Jacob G. Uniforms and workwear: An evidence base for developing local policy [monograph on the Internet]. Leeds, England: Department of Health; 2007 [cited 2012 Oct 10]. Available from: http://www.dh.gov.uk/prod_consum_dh/groups/dh_digitalassets/documents/digitalasset/dh_078435.pdf. Sweeney M. White coats may not carry an increased infection risk. [monograph on the Internet]. Cambridge, England: Cambridge Medicine Journal; 2011 [cited 2012 Oct 10]. Available from: http://www.cambridgemedicine.org/news/1298329618. Gherardi G, Cameron J, West A, Crossley M. Are we dressed to impress? A descriptive survey assessing patients’ preference of doctors’ attire in the hospital setting. Clin Med. 2009;9(6):519/24. Henderson J. The endangered white coat. Clin Infect Dis. 2010;50(7):1073-4. American Medical Association [homepage on the Internet]. Chicago: Board of Trustees. c2010. Reports of the Boards of Trustees. p31-3. Available from: http://www.ama-assn.org/resources/doc/hod/a-10-bot-reports.pdf. National Health and Medical Research Council. [homepage on the Internet]. Australia; Australian guidelines for the prevention and control of infection in healthcare. 2010 [cited 2012 Oct 10]. Available from: http://www.nhmrc.gov.au/_files_nhmrc/publications/attachments/cd33_complete.pdf. Centre for healthcare related infection surveillance and prevention. [homepage on Internet]. Brisbane; [updated 2012 October; cited 2012 Oct 10]. Available from: http://www.health.qld.gov.au/chrisp/.